As a seasonally appropriate topic for Halloween, the Oregon Zoo is posting a few of their favorite animal X-rays taken during routine health exams. Included in the mix is a branch-dwelling chameleon, open-beaked toucan, and a bat that appears to be caught mid-flight. The scans are a normal part of the check-ups at the zoo, and are used by animal experts as a helpful diagnostic tool to minimize anesthesia and provide faster results. You can follow more of the zoo’s spooky posts on Twitter. Nudibranchs, or sea slugs, and are group of wildly colored animals that use their striking forms to warn predators against attack. 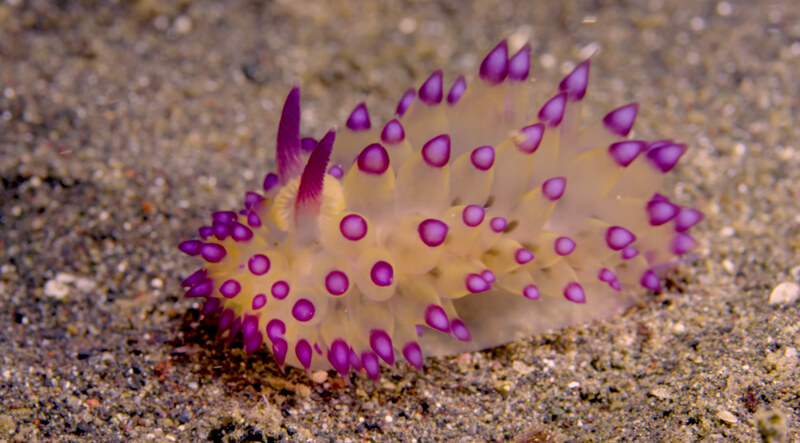 Although the sea slugs move slow, they are protected by a brilliant defense mechanism. Some species create an alarming defense by stealing “weapons” from another creature called a hydroid. These plant-like animals may appear like seaweed, but they are actually a jellyfish relative covered in stingers packed with a paralyzing venom.